Does your work in the science classroom and play on the sports field seem miles apart? This summer, elementary school students across the nation learned how those two worlds collide. 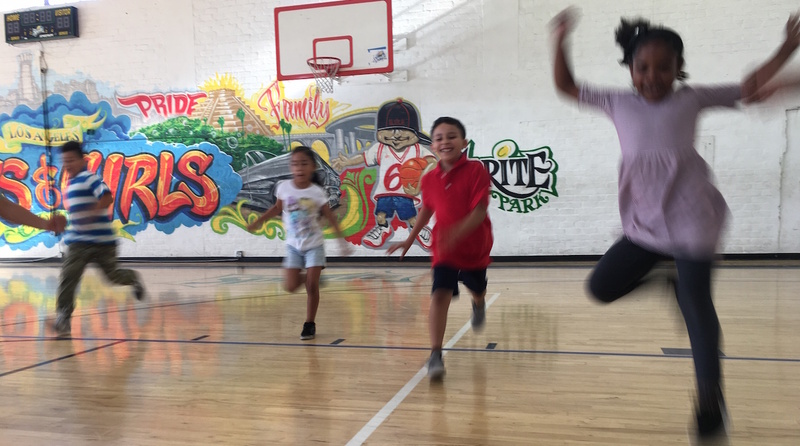 Thousands of kids participated in a free course called “Science of Sports,” which is part of Science in the Summer, a week-long educational enrichment program sponsored by the pharmaceutical company Glaxo Smith Kline in conjunction with the Franklin Institute. The program started 31 years ago in Philadelphia by Dr. Virginia Cunningham. She wanted to start a class were they could introduce more women and minorities to the field of science. She taught eight students at a local library that year. Since then, the program has grown and expanded to numerous sites around the country. They have been effective in reaching underserved communities, including inner cities and Native American reservations. The Science in the Summer program strives to introduce students to scientific concepts at an early age and to make it fun for them. It makes science come to life through hands-on activities. Whether through trying healthy recipes for sports drinks or making and testing bouncy balls, it features activities that will grab a child’s attention. And Samantha, age eight, told me how special Science in the Summer is to her: "I have a lot of friends, and my cousin’s here when I need him. I always help him with his homework, and [my teacher] Roger is always there to help me with my homework." She also enjoys how it makes science fun for her. "Sometimes science gets hard, but in this program it helps you step by step. They believe in me. They make me feel strong and brave." On the day I visited, the lesson focused on the importance of proper nutrition. The teacher, Roger Velazquez, led a discussion about the nature of carbohydrates, fats, and proteins. They made paper clip chains to demonstrate how easily carbohydrates can break apart to provide energy. Then, the class went to the gym to do a physical activity. They measured how far each of them could jump after a running head start. The goal was to improve their jumping distance over time through practice and a healthy diet. "It definitely educates the athletes in our program," Velazquez said. "They’ve gained some of the knowledge that they should know to be successful as an athlete." He also told me about the different careers that might come from this: "A lot of the stuff that we’ve taught in this program can be related to physical therapy, nutritionists, and trainers as well. Not only are athletes getting something out of this, it’s for other people that are planning to pursue other professions within sports." The hope is that, for some kids, Science in the Summer will turn into science for a lifetime. At the very least, it’s a fun week of activities with friends.